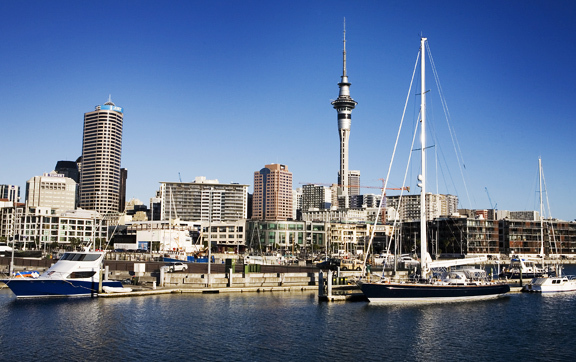 Alternate volcano and island hopping with cultural and culinary stops in New Zealand’s biggest city – Aukland. From here you can explore wineries on Waiheke Island, the Sky Tower, the cafe’s and restaurants in Viaduct Quay and Quadrant Quarter or the 43 dormant volcanoes at One Tree Hill. Head further north to hop around the 153 islands in the Bay of Islands or take a scenic flight to Cape Reinga to traipse across the West Coast Dunes. Then explore New Zealand’s rugged flora in the Kauri Forests. Use the Bay of Plenty as a start point to visit Rotorua where you can find your inner thrill seeker with the Skyline Skride, Off Road NZL Go Carts or Kawarau Jet Boat. Or why not relax and take a dip in the Polynesian Pools or at the Thermal Reserve? For the movie fanatic – or anyone who has seen a Lord of the Rings film – visit MataMata, better known as “Hobbiton” and be transported to the fantastical Middle Earth. In the south is New Zealand’s windy capital – Wellington. In this harbourside city you can combine the the sophistication of the Martinborough, Malborough or Wairarapa Wineries, the Te Papa Museum and gourmet food with the thrill of exploring of the Lord of the Rings and The Hobbit studios. A great starting point for the south is Christchurch. The unique Antarctic Centre is an attraction for the whole family and a short 40 minute drive can transport you to the French Colonial Village of Akaroa or further inland to the thermal Hamner Springs. Or, to see some of New Zealand’s wildlife, visit the dolphin and whale playground of Kaikoura. New Zealand is all about the great outdoors and if you head north, Blenheim or Nelson are excellent bases to venture out on some of New Zealand’s most picturesque walks including the Abel Tasman, the Queen Charlotte or the Heaphy Track. Head over to the West Coast for some of New Zealand’s famous scenery, including the Fox and Franz Josef glacier’s. 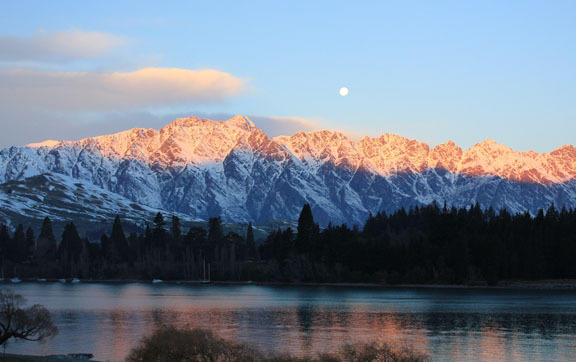 Further south is the thrill-seeker’s capital of New Zealand – Queenstown. The city packs a punch with something to offer everyone. From wineries to the spectacle of Milford Sound, Lake Te Anau and Doubtful Sound or the adrenaline pumping skyrides, bungy jumps, jet boats and white water rafting. Cross the island stopping by Lake Tekapo for star gazing and a visit to the Church of Good Shepherd to arrive in Dunedin. This Scottish bred univeristy town houses a youthful atmosphere which contrasts with the heritage architecture. Visit the Cadbury’s Chocolate Factory, Lanarch Castle, the Moeraki Boulders and the Wildlife Safari’s Albatross Colony to get your fair share of this beautiful town. Travel by train between Christchurch and Greymouth where you will have spectacular views of the Southern Alps and deep gorges. A magnificent coastline and home to world-class vineyards and gourmet produce. Located in the heart of picturesque Wanaka, and a stones throw from the lake edge, Lakeside Apartments is luxury awaiting for you. Wanaka Haven offers the luxury of beautiful surroundings inside out with a chic decor and uninterrupted mountain views. This stunning five-star hotel is located in the heart of New Zealand's premier four season lake and alpine resort. Eichardt's opulent suites invite guests to soak up a sense of quiet before exploring one of the world's remarkable locations.